Lancome spring gift with purchase 2019 has begun, customize your 10pc gift at Lancome.com! Also, Sephora Favorites Lunar New Year Kit C$79 available now. 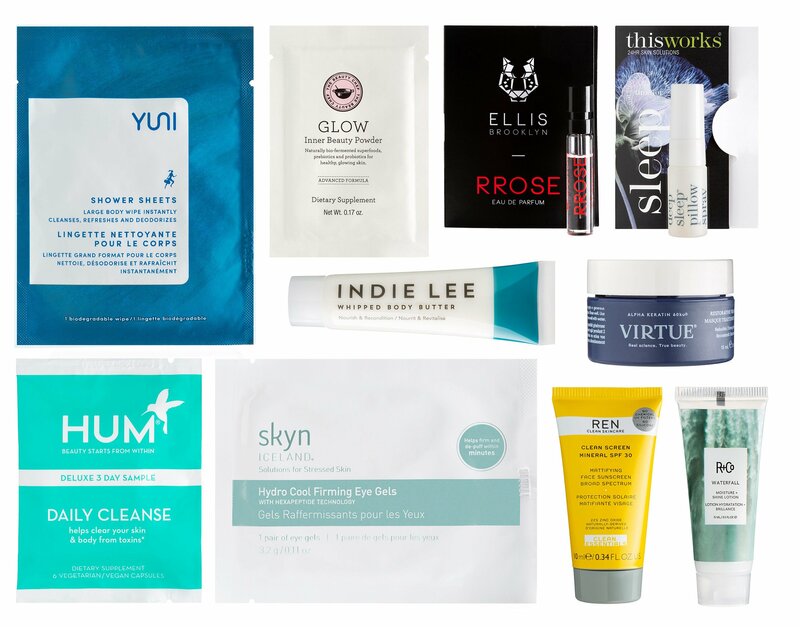 Plus, three new beauty gift bags at Walgreens, Thrive Market and Beautykind + more!! Lancome (NEW) GIFT 1: Spend $60 or more and a receive a customizable 7-piece gift set (Up to a $157 value). Spend $95+ and make it a 10-piece set! No Code Necessary. Valid 1/22-2/3. (NEW) GIFT 2: Enjoy a 4 piece Sample + Free shipping with a $49 purchase! Plus, receive a Bonus Sample with a $75 purchase. Enter Code JANUARY. Valid 1/1-1/31. (6d) Enjoy 20% off gift sets and 30% off phased out faves! Use Code PHASEDOUT. Valid 1/9-1/31. GIFT 3: Get 15% off any order use coupon code DMCNY (not combine with any free gifts). Receive one deluxe sample at checkout. Free shipping on orders over $49. Walgreens (NEW) Receive a FREE 12-Piece Gift with $20 Beauty Purchase – no code needed and for beauty enthusiast only! (NEW) Through 1/24, EXTRA 20% Off $50 Beauty & Personal Care with code BEAUTY20. (NEW) Through 1/23, Earn 5,000 Bonus Points on orders $25+ EXTRA 10% Off for New Customers with code 10WELCOME Coupon Code:10WELCOME. Plus, you can also get $10 OFF Orders $50+ when you pay with MasterPass. 8 Days of Beauty Deals: Fast, Festive Gifts Every Day! Walgreens online deals. Clip coupon here! See Walgreens Ad here. Beautykind (NEW) Receive a free 5pc gift with $50 purchase – no code needed. Use code WELCOME15 to get 15% off your first order. Thrive Market (NEW) The Online Market That’s Like a Costco for Organic and Natural Products. With $69 order, get a free 6pc beauty gift + 25% off your first order. With your first purchase, you are starting a Free 30 day Trial Membership. Cancel anytime. After your trial, you’ll be charged $59.95 for a 1 year auto renewing membership. Sephora.ca (NEW) Sephora Favorites Lunar New Year Kit C$79 (C$230.00 value). There are new items in the SEPHORA Rewards Bazaar, you can use Sephora points to redeem for free. Pick two free samples with any purchase (no minimum) here. See Sale page here. See Sephora Weekly Wow Deals at 9AM. See Sephora holiday value sets. See all available kits at Sephora Favorites. Amazon (NEW) Valentine’s Day gifts in Beauty & Grooming. Butter London (NEW) through January 25, 2019 get 30% off sitewide enter code SWEETHEART30. Plus, receive a free gift with your purchase of $50 or more. Use Code: BONUS50. Caudalie (NEW) Treat yourself to Caudalie’s new Valentine’s day gift with purchase! Enjoy this 5-piece gift, yours with any purchase of $180 or more* (a $65 value). Gift Includes a Travel Size Grape Water, Hand and Nail Cream 30ml, Resveratrol Eye Lifting Balm 5ml, French Kiss Innocence, and a Caudalie Makeup Pouch. Enjoy this 3-piece gift, perfect for a cozy winter night at home. ColourPop (NEW) offers a new mystery bag $25. Dior (NEW) Get a free 2pc deluxe Lucky Red set with any $150 purchase. Dr Dennis Gross (NEW)(Today Only) BOGO free best sellers. Dr Dennis Gross (NEW)(Today Only) BOGO free best sellers. Free sample with every order and free shipping on any $60 purchase. Lancome Canada (NEW) Get a free 5pc gift worth $158 with any $88 purchase use code LUNAR. LoveLula (NEW) January Sale at LoveLula! Save up to 15%! Spend £40 & get 10% off with code GIVEME10. Spend £70 & get 15% off with code GIVEME15, ends 2/1. NORDSTROM (NEW) Receive a full-size Perfectly Clean Multi-Action Foam Cleanser/Purifying Mask (5 oz.) and deluxe samples of Advanced Night Repair Synchronized Recovery Complex II (0.24 oz.) and Revitalizing Supreme+ Global Anti-Aging Cell Power Creme (0.5 oz.) with your $55 Estee Lauder purchase. Saks Fifth Avenue (NEW) Through 1/25, earn up to a $700 gift card with Beauty Purchase event use coupon code “JAN2019”. (1d) Through 1/23, up to 60% off + 10% off sitewide sale use coupon code MOONCNY19 (includes beauty). (1d) Receive a La Prairie Mailer – SCEssense in Foundation Envelope with any $100 beauty purchase via coupon code “LAPRA25SF. (1d) Receive a Full-Size Bi-Facil Face (6.7 oz.) and Full-Size Absolue Hand Cream (3.4 oz. )* with any $100 Lancome purchase. Use code LANCME4SF at checkout. Yesstyle (NEW) Woo Your Valentine! Extra 10% OFF orders over $35 use code: 2019LOVE. Ends Jan. 27. (2d)(HOT) YesStyle Beauty Box – “Dear, Love” Valentine’s Box (Limited Edition) $37.91.